Ships named for the state of North Carolina enjoy a long and proud history. Here is the Legacy of Ships in addition to BB55. The first USS NORTH CAROLINA, a 74-gun ship of the line, was launched in Philadelphia, September 1820, and fitted out in Norfolk, Virginia, with Master Commandant Charles W. Morgan in command. A three-masted square-rigger with an overall length of 196 feet 3 inches and beam of 54 feet, she displaced 2,633 tons and carried a complement of 820. As Commodore John Rodgers’ flagship in the Mediterranean, NORTH CAROLINA symbolized naval might and provided the young republic much-needed prestige and respectability. The Ship-of-the-Line became a receiving [training] ship in New York Navy Yard in 1839 and was sold for scrap in 1867. The Confederate States Navy’s 174-foot ironclad CSS NORTH CAROLINA was constructed in Wilmington, North Carolina, near the site of Battleship NORTH CAROLINA. Displacing 600 tons, her main battery consisted of four 8-inch guns and her complement of 150 men. She was anchored near the mouth of the Cape Fear River to help keep the port of Wilmington open for blockade runners. 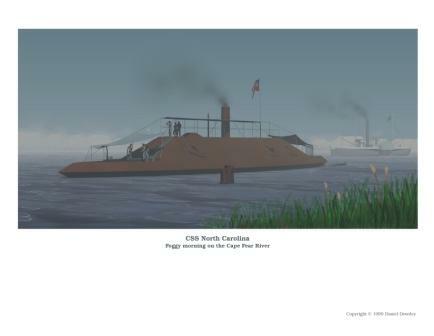 She developed leaks and sank in September 1864 near Southport, North Carolina. 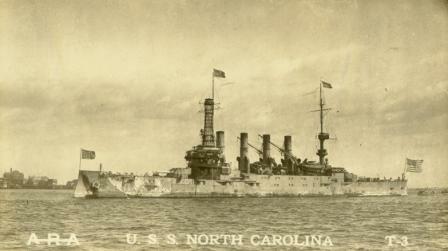 The second U.S. Navy ship named NORTH CAROLINA was Armored Cruiser 12, commissioned in 1908 at Norfolk, Virginia. 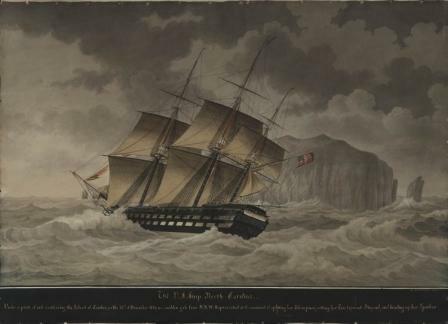 With a length of 504 feet, she displaced 14,500 tons and her designed speed was 22 knots. Her main battery consisted of four 10-inch guns and her secondary of sixteen 6-inch and twenty-two 3-inch rapid fire guns. Her complement was 38 officers and 821 enlisted men. Her service highlights include bringing home the bodies from the USS MAINE for burial, convoying troops to and from France during the first World War, and catapult launching an AB-2 Curtiss flying boat from her stern on November 5, 1915. Renamed CHARLOTTE in June 1920 so that her name might be used for a new battleship, she was decommissioned in February 1921. Battleship 52, designated NORTH CAROLINA, was never completed. Laid down in 1920, work halted three years later under terms of the 1922 Treaty for the Limitation of Naval Armament. Attack submarine NORTH CAROLINA (SSN 777) is the fourth U.S. Navy ship to bear the name and was commissioned May 3, 2008 in Wilmington, NC. 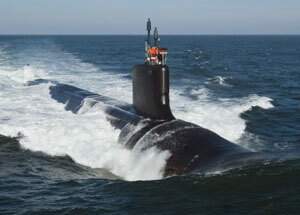 At 377 feet in length, she displaces 7,800 tons submerged and carry of complement of 134. Her maximum designed submerged speed is 25 + knots. Her armament includes 12 vertical launch system tubes, four 21-inch torpedo tubes, tomahawk missiles and Mk-48 advanced capability torpedoes, advanced mobile mines and unmanned undersea vehicles.